This Wired Aluminum Tenkeyless Keyboard from Matias is built with an aluminum frame and designed for PC systems. 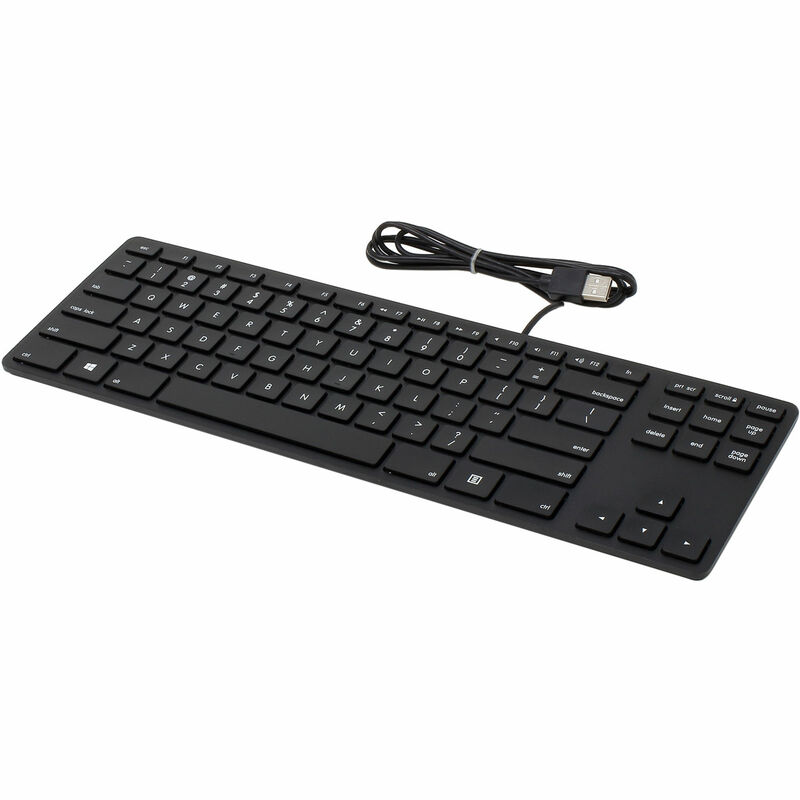 Aside from the standard keys, minus the number pad of course, it also has dedicated function keys as well as a volume control dial located at the top edge of the keyboard for precise adjustments. It even has two USB 2.0 Type-A ports with which you can use to plug in thumb drives or other peripherals. Box Dimensions (LxWxH) 14.7 x 5.8 x 1.1"